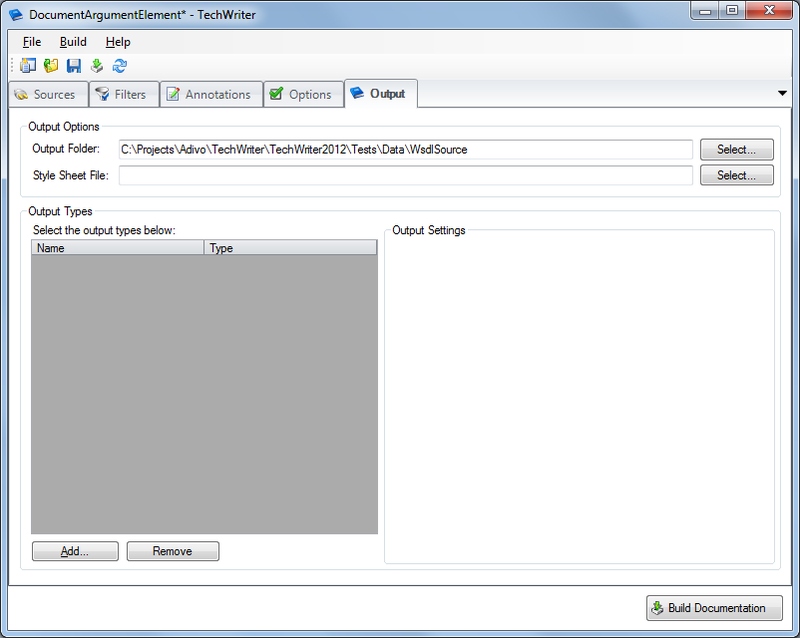 TechWriter's tabbed display provides quick access to all aspects of your documentation project. No digging through endless menus and property sheets. 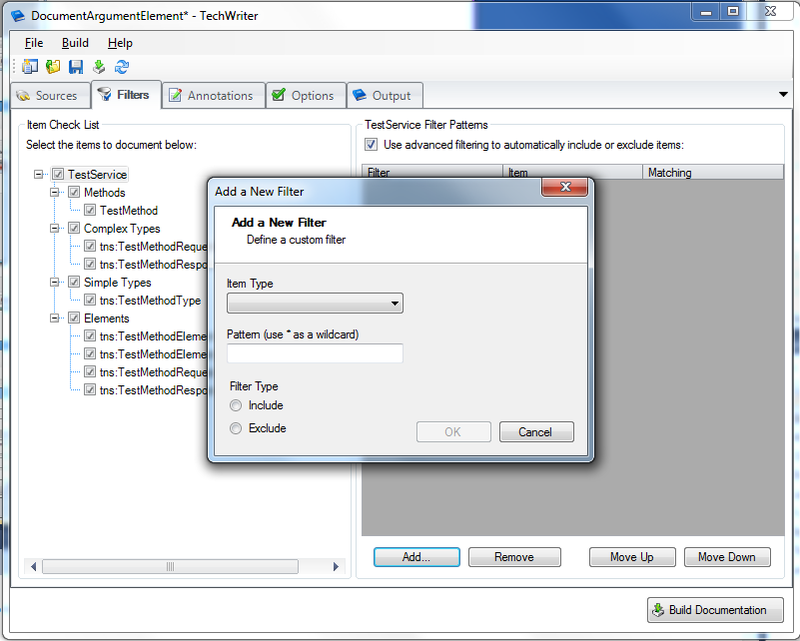 TechWriter's filtering tab gives you complete control over which items are documented. Simply check or uncheck individual items or use the advanced filtering to define rules based on naming conventions. 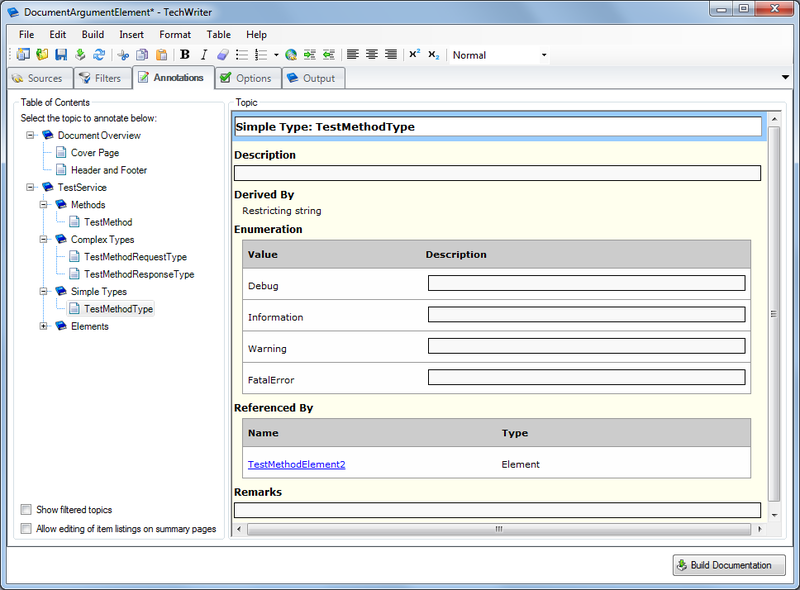 TechWriter's Annotations tab allows you to annotate the items in cases where the description in the database, web service or XML schema is missing or you want to revise and enhance the description with rich text formatting and hyperlinks. 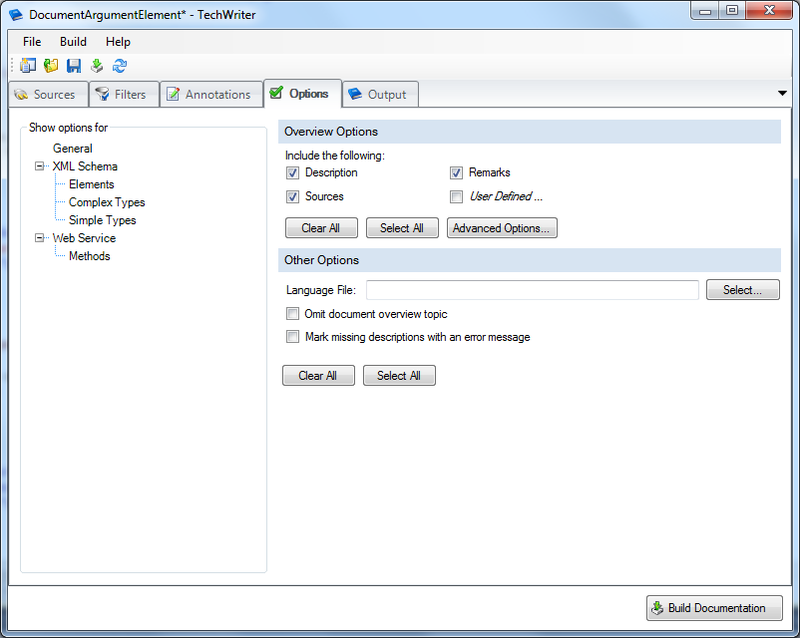 TechWriter's Option tab provides all the options you need to control the level of detail contained in the documentation. 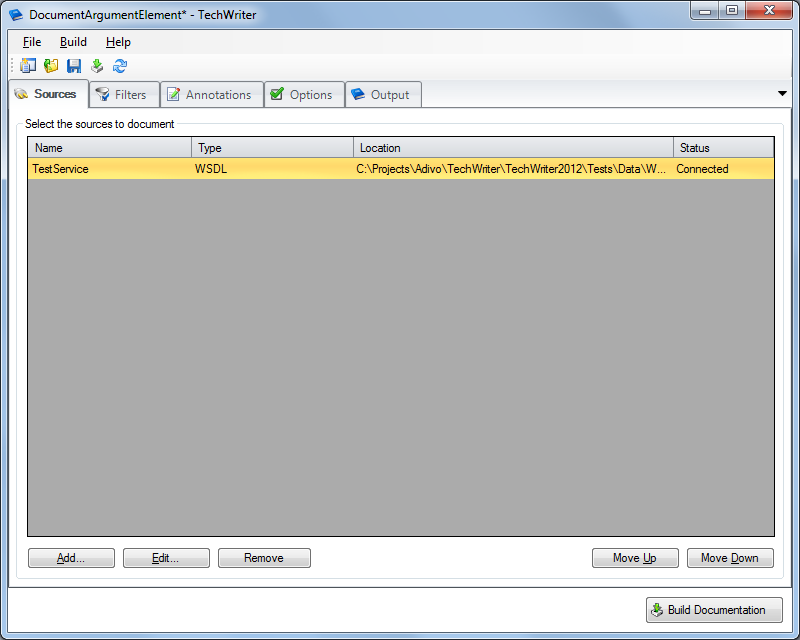 TechWriter's Output tab allows you to generate multiple outputs for your documentation from the same project. Choose between PDF, Compiled Help (CHM), RTF/Word, HTML and XML formats.